The technology and skillsets these organizations and individuals employ are directly tied to weapons work, according to the State Department official, who would speak only on background. "Some of the projects and the types of work that my colleague from Treasury mentioned do directly translate into weaponization work," the official said. "That's sort of the point of this. This is stuff that is a mobilization capability-in-waiting by virtue of the technologies and the skillsets involved, and we think that that is something that the Iranian regime shouldn't continue to avail itself of." The Iranian individuals named in the new sanctions continue to serve Iran's nuclear program and have even been entangled in schemes to import to Iran sensitive nuclear technology. "Here you have people, the people who are being designated today, continuing to engage in proliferation-sensitive activities, and it's our very strong view that we have to remain vigilant for any efforts by the Iranian regime to exploit gaps in that deal, to include, among many other things, that intellectual firepower that continues to be there and to include procuring items for the benefit of a designated person," said a second State Department official, also speaking on background. 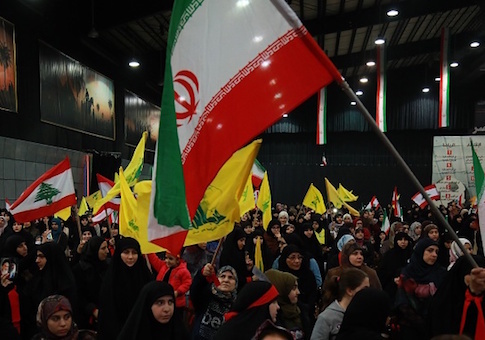 "This is a way for them to keep the gang together, as it were, and to provide a reconstitution capability for that weapons program to the Iranian regime should it choose to use that," the official said. "And I think that is an extraordinarily important thing to remember because it puts into context all of what Iran has been engaged in here." The new sanctions target a senior Iranian nuclear official known as the founder of Iran's illicit nuclear weapons program. "Mohsen Fakhrizadeh is known as the founder of that former illegal nuclear weapons program that was suspended in 2003, and he was put in charge of SPND all along with personnel, in many cases including these individuals sanctioned today, who were involved in that prior weapons program," according to information provided by the State Department. "As the world has learned from the recently discovered secret Iranian nuclear archive—which revealed the names of some of the individuals sanctioned today—unanswered questions remain regarding Iran's undisclosed past nuclear-related activities under the AMAD plan, including activities related to the development of a nuclear payload for a missile," the State Department said, referring to Iran's nuclear project that was aimed at developing nuclear weapons. A GOP aide who works on Iran issues lauded the new sanctions in comments to the Free Beacon. "The Trump administration just said out loud what all the adults who work on Iran already knew, even before the Israelis revealed the nuclear archive," the aide said. "The Iranians have been keeping their band of nuke scientists all together, so that when the deal expires and they get to do unlimited nuclear work they can rush to a bomb. In the meantime these scientists have been engaged in related nuclear activities anyway. The Iranians never dismantled huge parts of their nuclear weapons program."